This beautiful tree is so because it represents a movement. A movement driven by people who want to be free of a plague. In 1624, the bones of Santa Rosalia helped cure Palermo of an infectious disease. 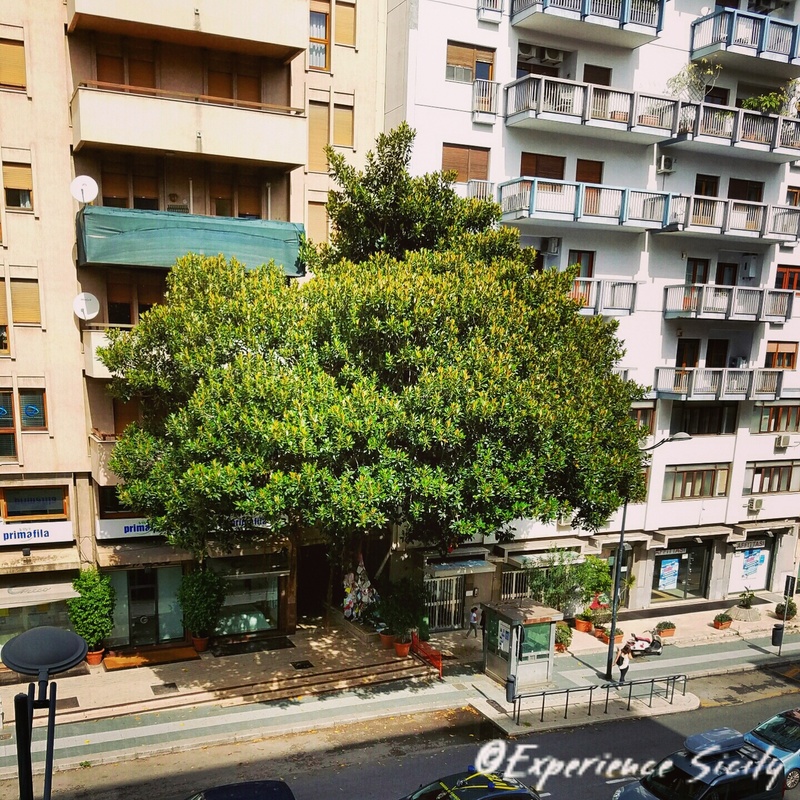 Well, over the last 24 years, the Falcone Tree has acted as a relic (and a memorial) for the anti-Mafia judges Falcone and Borsellino who were assassinated separately in 1992. Their memories have inspired strength in the people of Sicily, prompting them to rise up against the Mafia. This morning, Day 11 of Savoring Sicily, we discussed this significant issue of organized crime in southern Italy with Maurizio Scalia, my cousin who is an important prosecutor in the Region. Our guests now have a better understanding of the “plague” that wracks Palermo and Sicily, and what is being done about it. It’s not glamorous, but it is progress in the right direction.